Knight MFG - Tripod Launch Pads. 4. I ship your order. 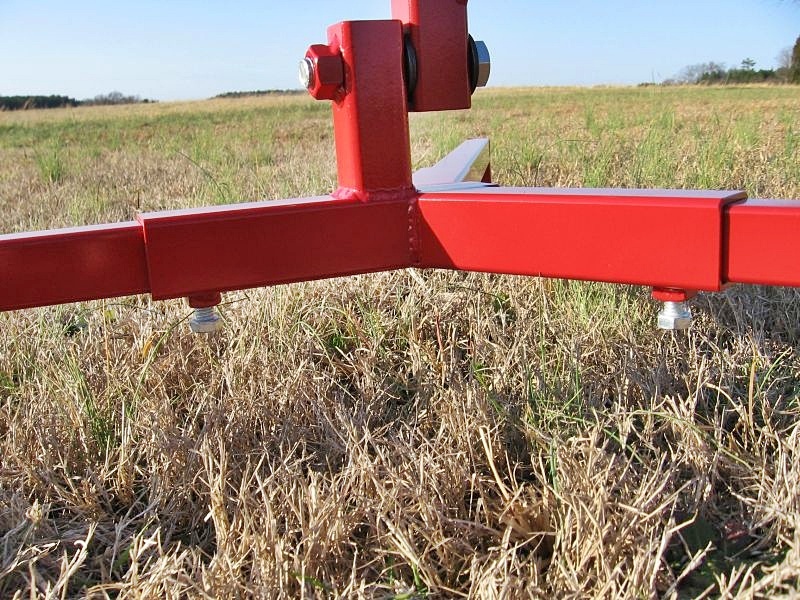 Our new TLP-42 model tripod launch pad was specifically designed with TARC teams in mind. 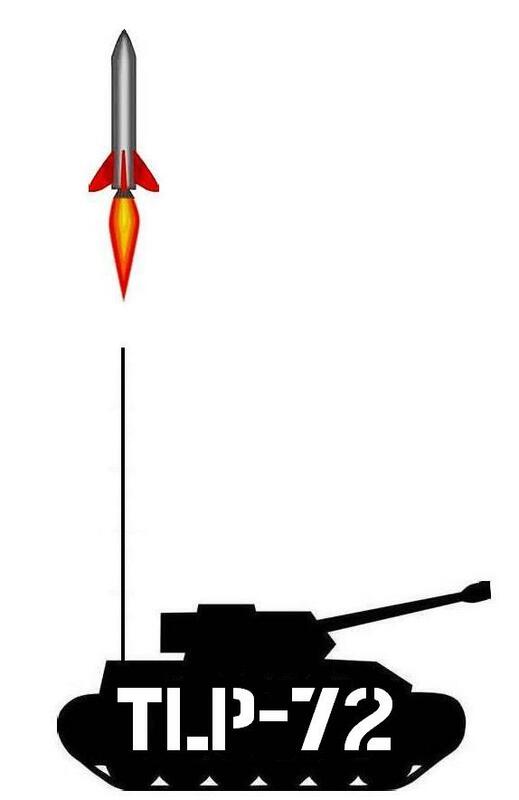 It's sized to easily support and launch the size rockets you'll be working with in the TARC program. It is basically a smaller scaled down version of our larger TLP-60 model below and has a the same rail / rod holder and blast deflector used on our folding FLP-36 model, which is also an excellent choice for TARC teams. It has a 42" circular footprint and comes equipped with a 7 X 9 inch blast deflector. The three legs are held in place in their sleeves with 5/16 thumb screws and are easily removable for transport and compact storage. 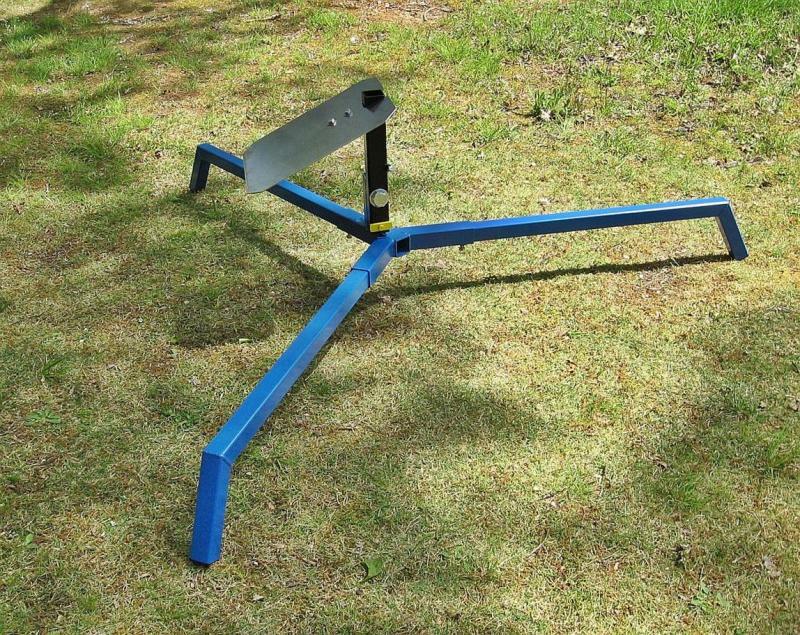 Being a three legged tripod design, the pad will "self-level" itself on uneven ground. A tripod pad in this size is something TARC teams have been asking about for a while now so here it is. Available in the color of your choice (with pre-payment) from our paint color page. 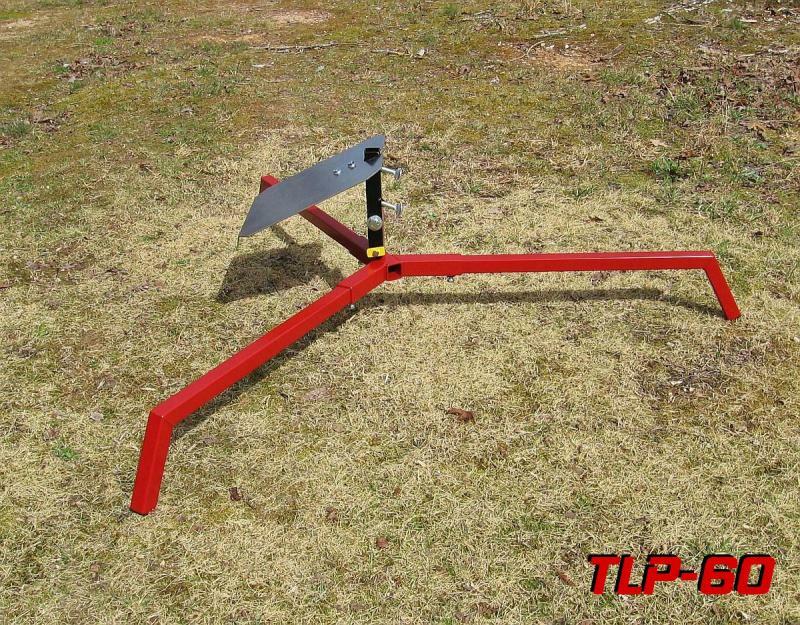 The TLP-42's combo rail / rod holder holds both 1 inch 1010 series rails and 1/4" launch rods. Seen here with a 1010 rail. Pictured here with a 1/4" rod. Rail holder pivots on a 1/2" hex bolt which tightens in place with a wrench. 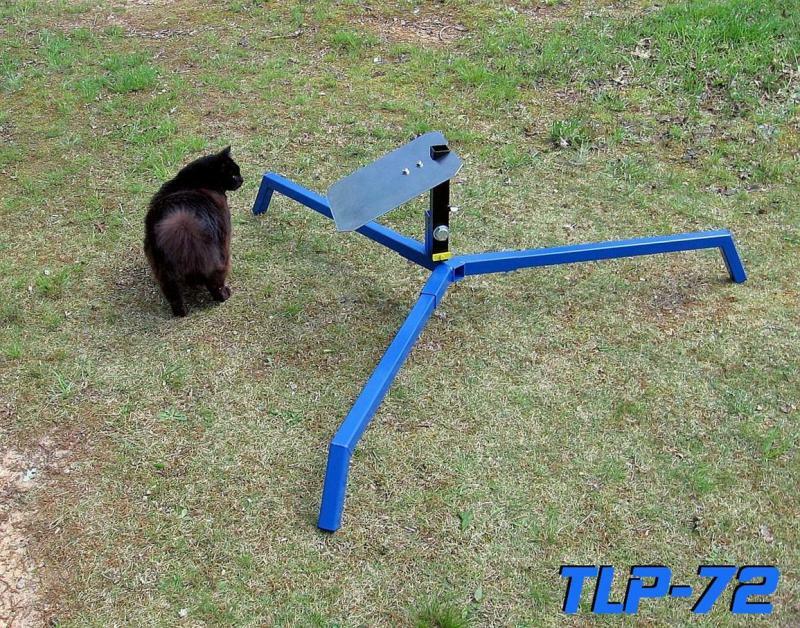 Our Level 2 high power launch pad, the TLP-60 Model. 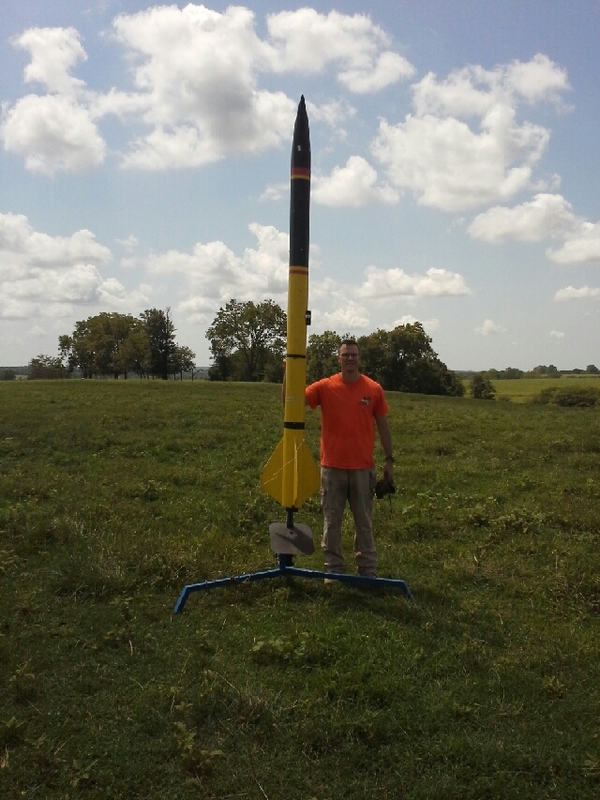 Geared toward larger sized Level 2 high powered rockets, it has a big 60" diameter circular footprint with removable legs made from 1-1/4" 14 gauge square steel tubing. 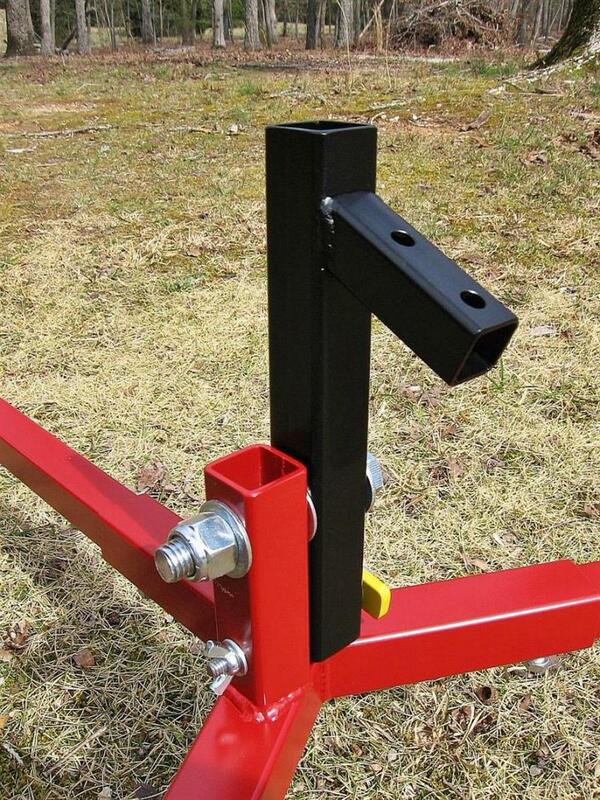 The central hub that the legs slide into is made from 1-1/2" 14 gauge square steel tubing. The legs are held in place with a 3/8-16 hex bolt underneath each sleeve. 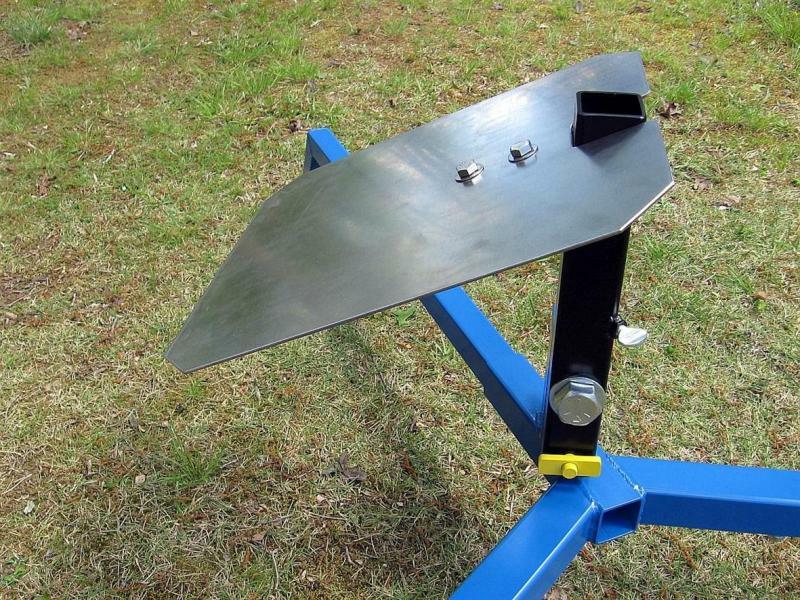 The angled blast deflector is made from 12 gauge steel and measures 10 X 12 inches. With three legs, it is self leveling and the combo rod / rail holder holds 1/4" through 1/2" launch rods and 1" 1010 series launch rails. (We don't offer a 1515 series rail holder for this pad - see the Tank model below). 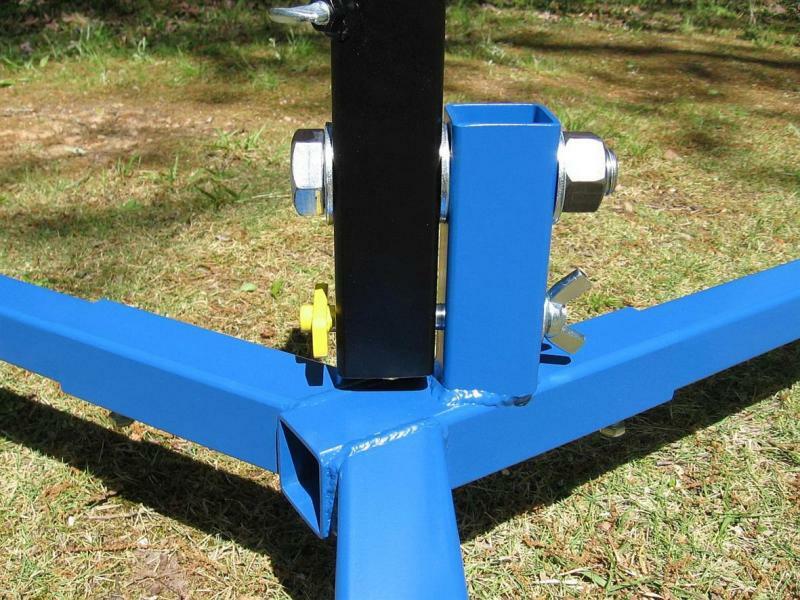 The rod/rail holder pivots on a large 5/8" pivot bolt﻿ and tilts down backward to allow loading rockets. New threaded "pull pin" type bolt locks the rail holder in place in the upright launch position. Plastic plugs in leg ends keep dirt out. Like all of our launch pads, we keep these in primer and custom paint them to order in the custom color of your choice. Custom colors require pre-payment. We accept credit cards through Paypal. We also accept money orders. Gary Cole was nice enough to summarize their club's use of their TLP-60 pad and I want to share that summary here for those of you wondering about the pad's capability and limitations. I hope that this is helpful. 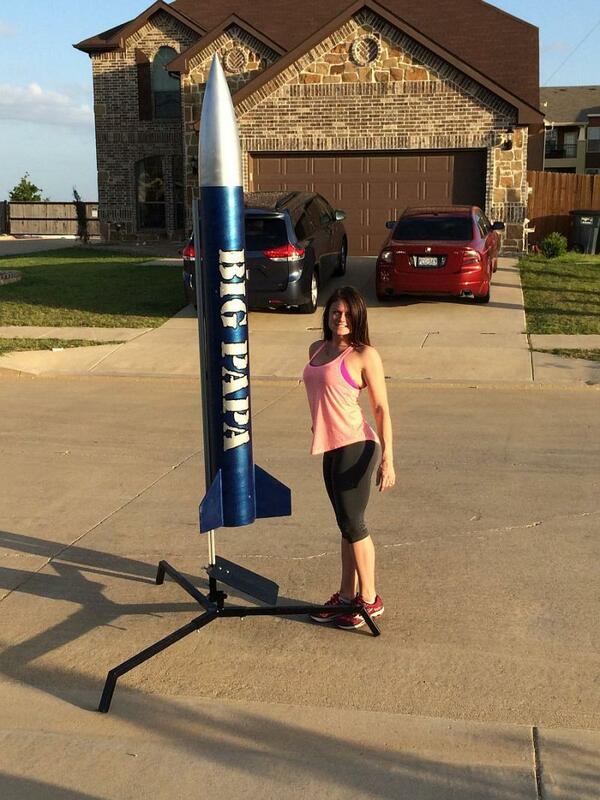 From Gary... "TLP-60: We've launched rockets upwards of 20 to 25 pounds from this pad. We did have one situation where we loaded a very long, heavier rocket (7.5 inch diameter, 40 pounds or so) on this pad, using an adapter to fit a 1515 rail to this pad. The wind was also very strong. The pad was tipping in the wind and frankly, it was too much rocket for the pad. We would have possibly staked the legs and it would have worked. That rocket was ultimately launched on the TLP-72.﻿"
Angled blast deflector is made from 12 gauge steel and measure 11 X 13. 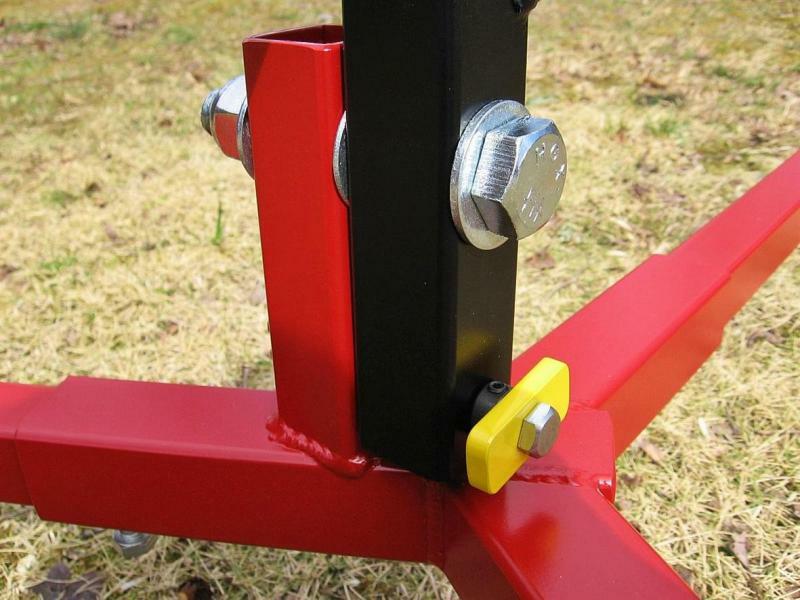 It fastens to the rail holder's mounting bracket with two 5/16 hex bolts. 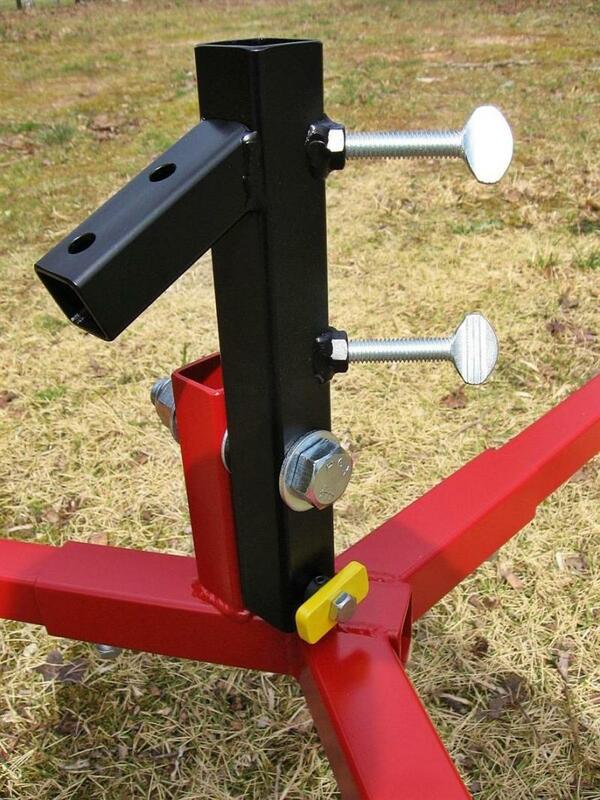 New rod/rail holders pivot on large diameter 5/8" pivot bolts and are held upright with a locking pin with wingnut. 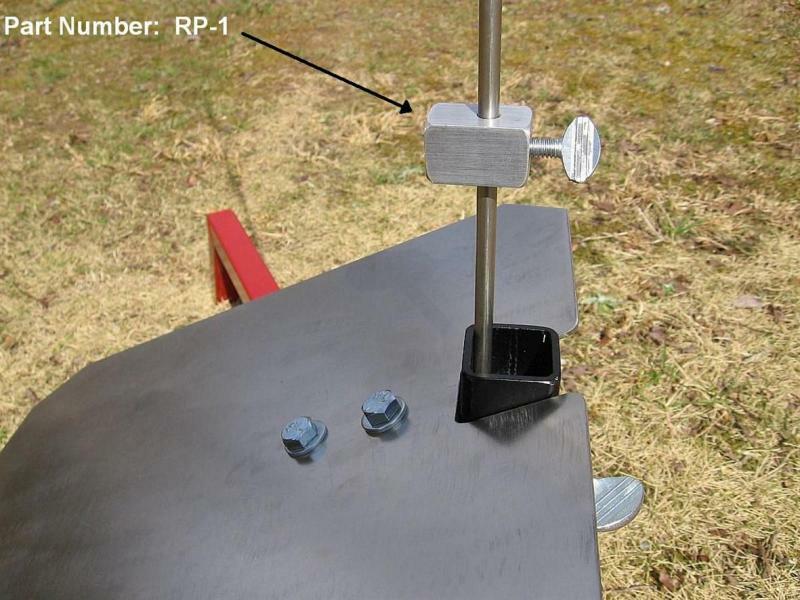 Remove the lock pin to tilt the rail holder down to load your rocket. 3/8" thumb screws hold rod or rail in place in holder. Extra beefy two bolt blast deflector mounting bracket. Lock pin has wingnut for securely locking the rail holder in the upright position. Big 5/8 nyloc nut holds pivot bolt in place. One of our TLP-60 models in black. Photo courtesy of Leslie Walden. 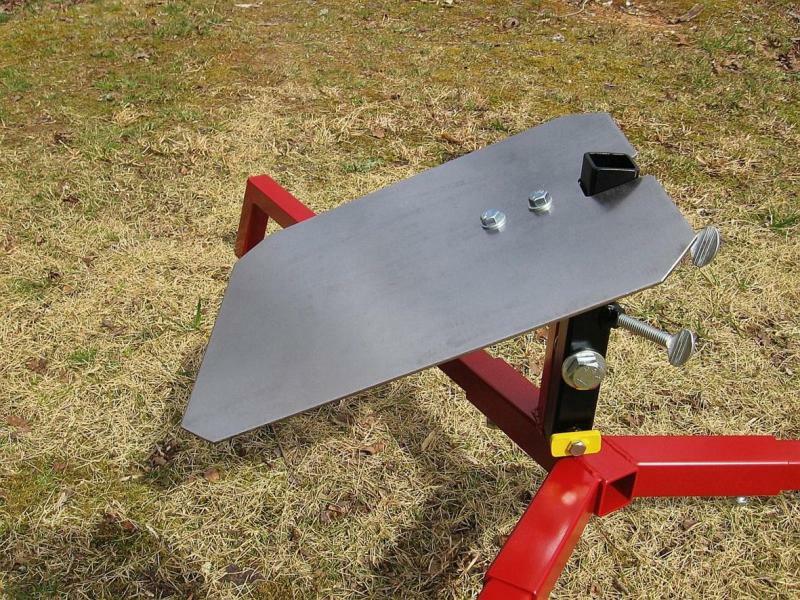 Our big new TLP-72 "TANK" launch pads are now available for sale. This is our largest launch pad with a 72 inch diameter circular foot print; that's 6 feet! It's our 1515 series rail pad, designed for large Level 3 rockets. It is basically just a bigger beefier version of our TLP-60 pad, designed to hold 1.5" 1515 series rails. It will also hold the smaller 1" 1010 series rails as well as launch rods. The leg sleeves are made from 1-3/4" 14 gauge tubing and the legs are 1-1/2" 14 gauge. 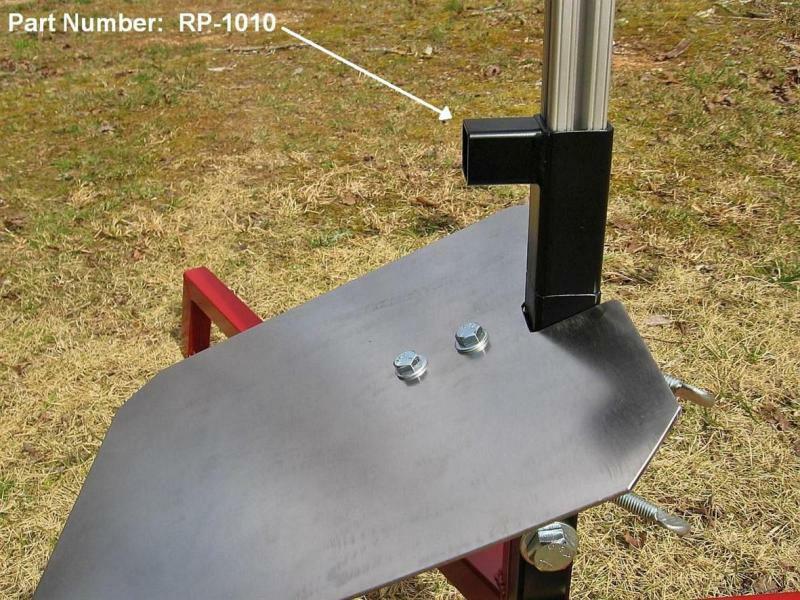 This pad comes with a big 11 X 14 angled blast deflector made from thick 12 gauge (.109") steel, painted high temp silver. The rod/rail holder pivots on a big 3/4" grade 5 hex bolt and tilts down to allow loading rockets. It locks in place with a 3/8 threaded "pull pin" bolt with wing nut.﻿ There's a lot of beefy steel in this launch pad. Very solid, weighing over 30 pounds. Our new TLP-72 "Tank" launch pad. Designed to hold 1515 series rails, it has a 6 foot diameter circular footprint. That's Goofy Rufus, our quality control manager giving it a thorough inspection. The TLP-72's rod / rail holder will hold up to 1515 series (1-1/2") launch rails as well as smaller 1010 series rails and launch rods. Made from ﻿1-3/4" 11 gauge square steel tubing, a 1515 series rail is a perfect fit in it's I.D. with no slop. Two 3/8 thumb screws hold the rail in place. 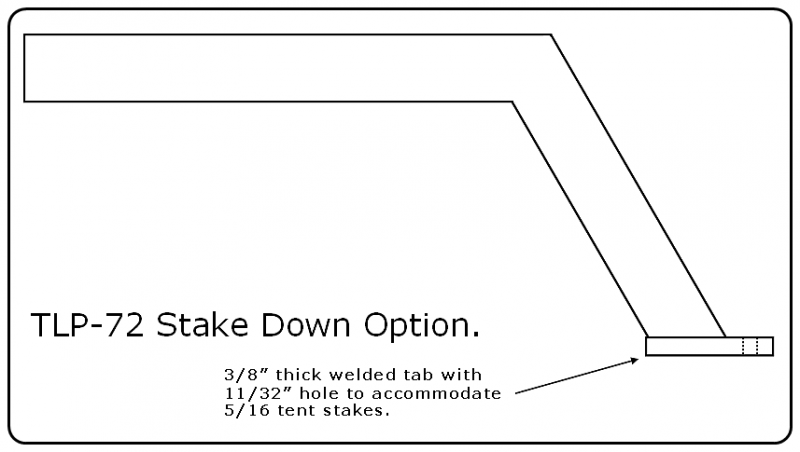 New models tilt back by removing the 1/2" "pull pin" bolt. Rail holder pivots on big 3/4" pivot bolt. 1/2" "pull pin" bolt with wing nut locks the rail holder in place. 12 X 14 steel blast deflector is made from 12 gauge material and attaches to the rail holder with two 3/8" stainless steel hex bolts. The TLP-72 "TANK".Get yours today! Custom colors are available by special order. TLP-72 TANK custom painted in yellow for the University of Wisconsin Oshkosh. Photo courtesy of Drew Farwell. 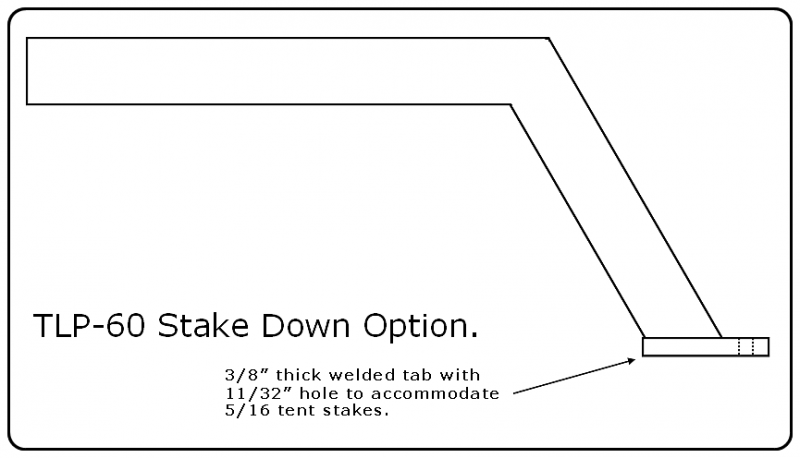 Pick the perch you need for your application and order perch by part number. Rod perch works with 1/8" through 1/4" launch rods. ﻿Part Number RP-1. 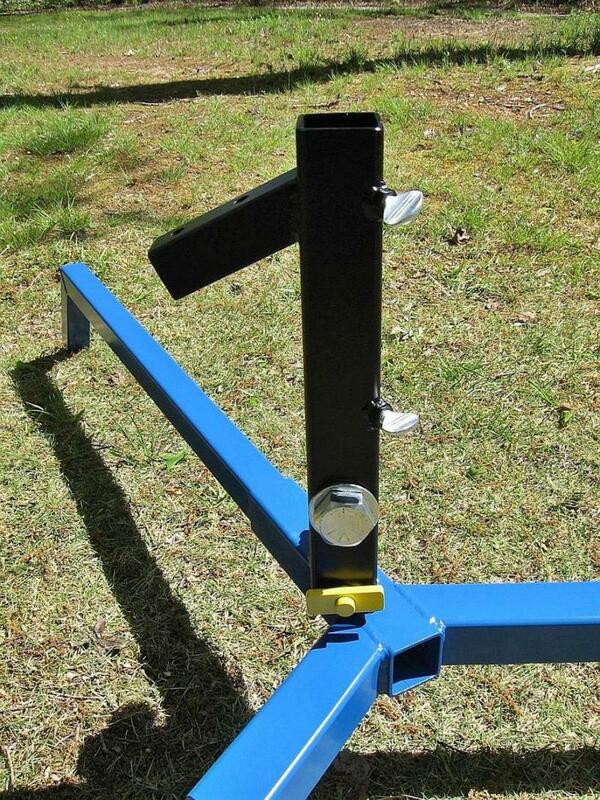 We also make a 1515 series rail perch like this for $19.99.